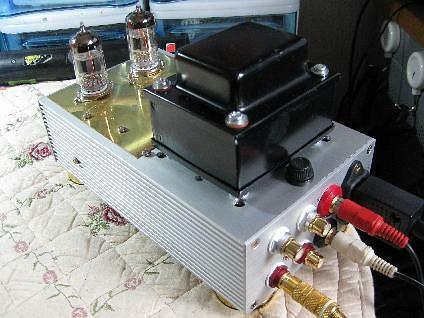 This time doing build up one of SRPP line amplifier and built - in DAC D.I.Y. 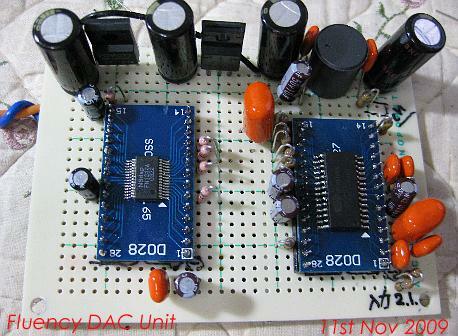 New technology DAC.slowly I will build up FN1242A DAC use Valve line Amplifier. like new type of sound seems like analog(LP).history is indicated end of this web page. 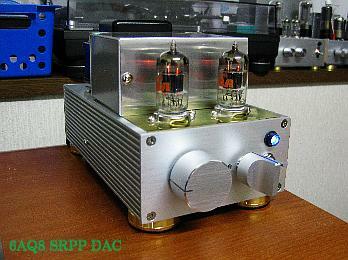 modern DAC.PCM56 is laddar type DAC and this DAC is made by R-2R laddar resistace. 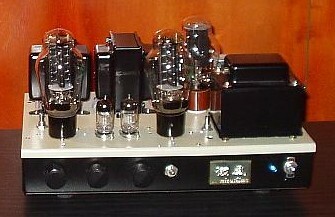 sound is very good low than 1 bit DAC.some thing more natural sound getting. from some technic of PIC computer programing.it's call software mode. 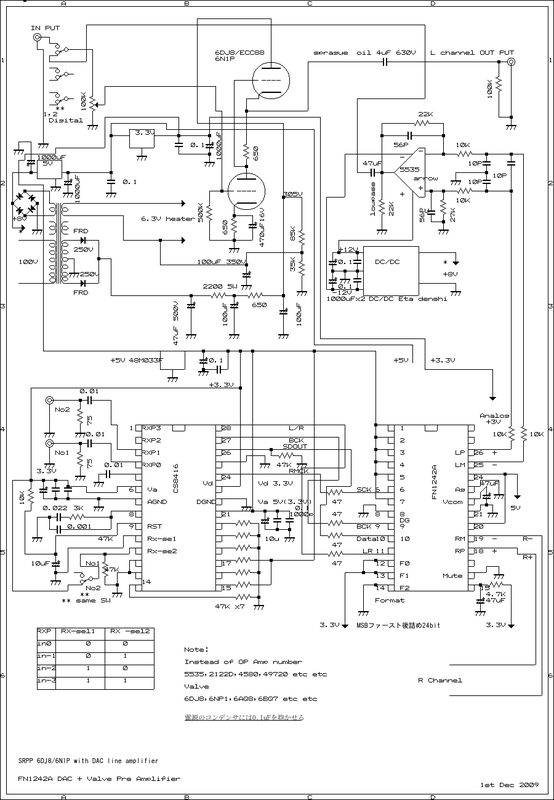 so FN1242A is using as MONO Mode means needed program interface of ROM. 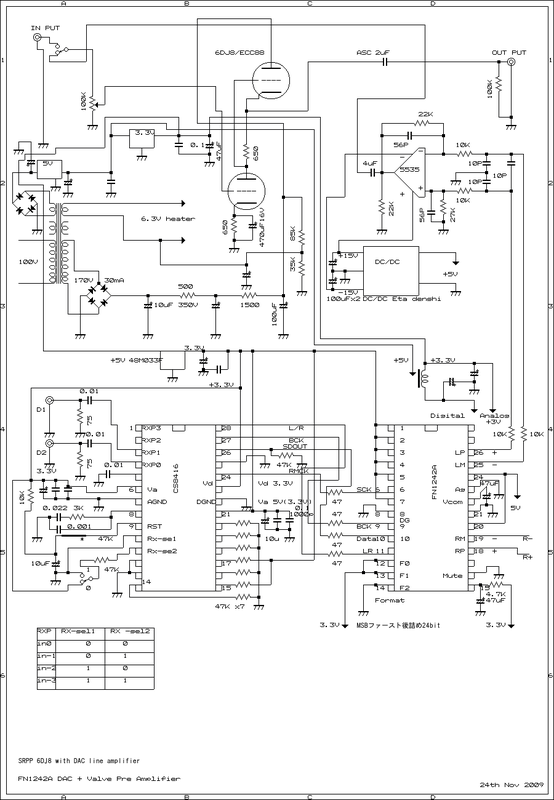 one thing PCM1794A does not need external ROM for mono connnection. 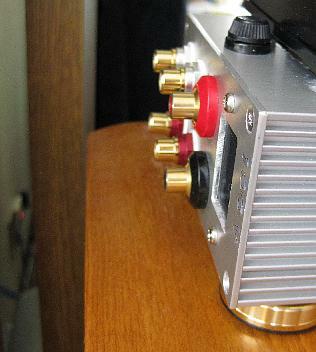 2 Input Digital(SPDIF) and 1 of Analog input. 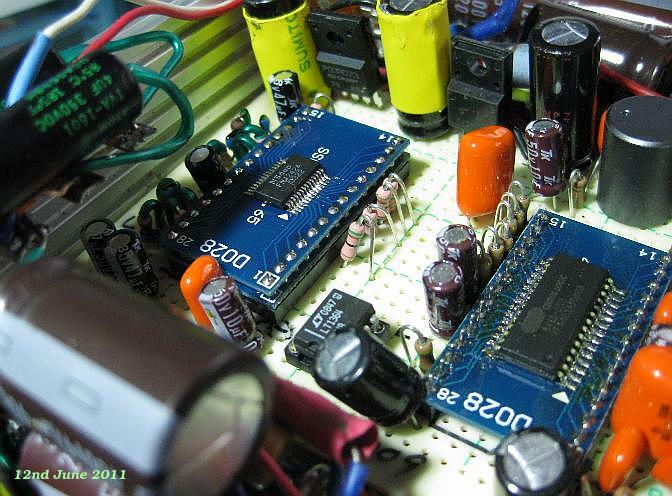 SRPP is more simple and need few components. finally circuit is next.very few point is changed. sound. I like 5532 OP IC. 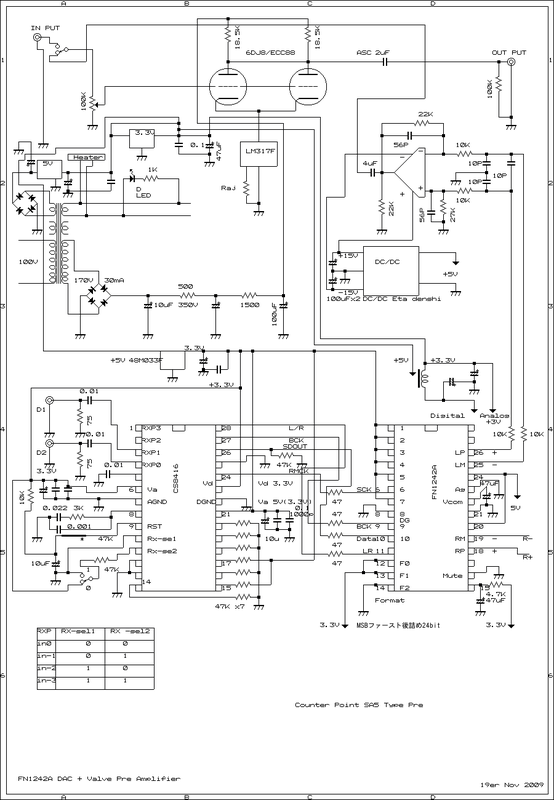 tried few OP IC's but 5532 is most better for my ear. I think this color of sound is depend on personal. some noise from AC line. sound is very good now.very few things will be change sound. 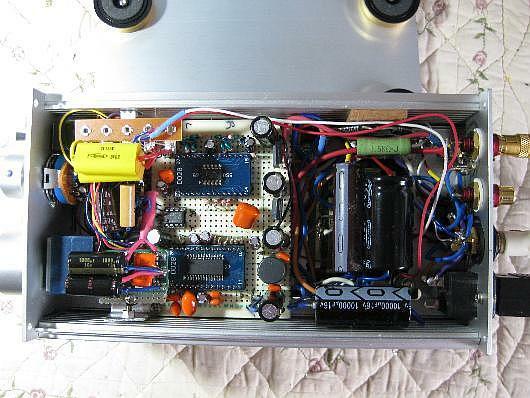 added ripple MOSFET filter but sound is very tight and does not get warm bass. 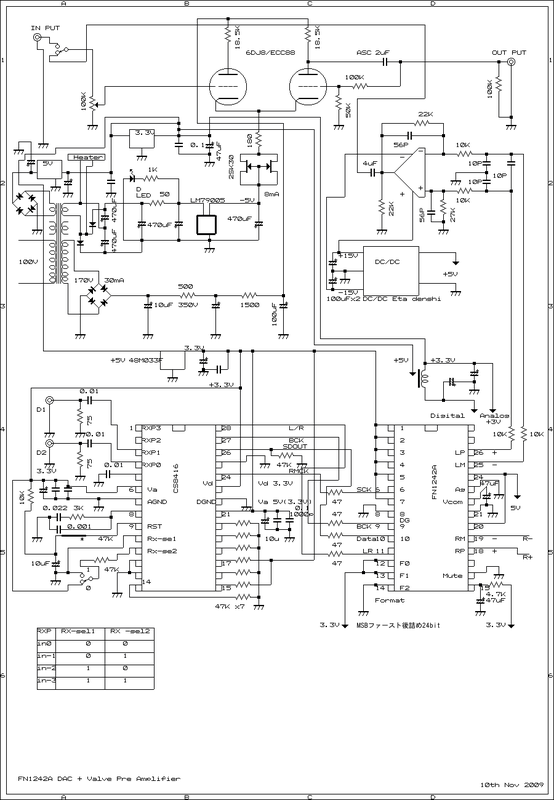 so took out ripple MOSFET then sound is very natural now.voltages of SRPP is 300V. 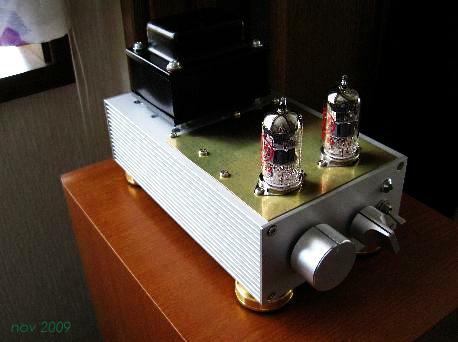 High End Audio sound get from LT1354.good enough low and very clear mid and high. 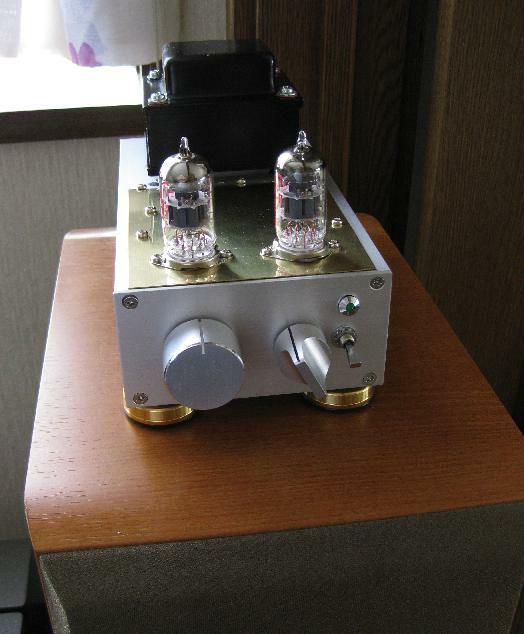 LME49720 and LT1354 are very good quality of sound, I got. and high solution of sound I got. information got from Univercity of Tsukuba Japan. Univercity of Tsukuba Wisdom System LabHEREif would like to more! !